62% of 319 million americans make some kind of new year’s resolution annually. That means 198 million people set some kind of goal for the new year. Out of those 198 million, only 8% achieve their goals. That means 182 million people each year do not have their best year ever. To be more specific, according to the top ten resolutions made for 2015, these 182 million remain: overweight, disorganized, financially indebted, too busy to enjoy life, sedentary, uneducated, addicted, uncharitable, loveless, and feeling disconnected from their families at the end of the year. When the next New Year happens, what do we do then? We make the same resolution. We “rinse and repeat" for another four to five years until we finally feel too embarrassed to make the same resolutions again. Sound familiar? It sure does to me. It doesn’t have to be this way though. I’m currently being inundated by emails and Facebook ads about how to get the most out of the upcoming New Year. These emails and ads are well-intended but I think many of their methods are flawed. They speak about creating better goals that are contagious, and more clearly defined. This is very important, but I believe it's putting the cart before the horse. When I was in graduate school, I remember having a lot of information thrown at me class after class. Since my undergraduate studies were not in the same field as my graduate work , I did not have a proper frame for holding all the information. Needless to say, all that information went in one ear and out the other. I had no “place” or system for making sense of the information. I quickly purchased five or ten books to to create a frame as quickly as possible. I clearly remember the week when everything suddenly made sense, and I no longer had to work to make connections. Some great leaders are talking about “designing your life” this year. This is a great notion, but no amount of design is going to work unless you first have a frame. Like building a house, the interior design makes no sense unless the foundation and frame is clear. One of the biggest reasons why New Year’s resolutions fail is because we get caught by the emotion of the tradition. The result is a failure to “count the cost” of making those changes. We forget to invest upfront, which would have paved a clearer and easier path for our declared goals. Creating clear, well defined goals is indispensable for a great year, but without a proper frame for them, what happens after we make them? 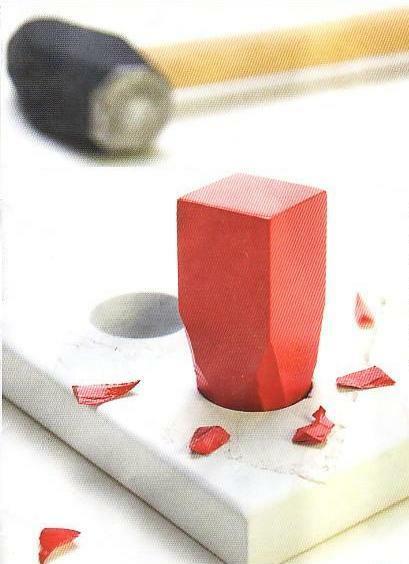 We end up forcing our new goals into our existing habits which ends up feeling like hammering a square peg into a round hole. We either give up from exhaustion, or if we achieve anything, significant collateral damage occurs to other parts of our life. This year can be different from previous years. We can be smarter about what we consider as goals for the New Year. We can pave a way of greater intentionality month after month, until we look back at the greatest year we have ever had. A year focused around what makes us thrive: self-care, relationships, and living from our own creative genius. If we do not do something significant, next year will be like every other year which is not the direction most of us want to go. If you really want to hit the New Year running, in addition to signing up for my newsletter, comment on this post that you would be interested in participating in a step-by-step video course on how to make 2016 the most intentional, fulfilling, relational, and creative year of your life. This course will provide the proper framework to keep you focused on what matters most, and provide helpful tools to determine the RIGHT content for that frame. No more busying ourselves to death! The world needs you to be at your best! Don’t let it down. Be intentional . . . live more than you ever have in your life, in the real. I hope you all had an awesome Thanksgiving! For this weeks post, I have a short video I would like to share on the essence of LTR (Living the Real). I apologize for the quality of the video. I will be working on some better lighting and ambiance soon! :-) Enjoy! When my wife and I got married, we had the unfortunate compilation of two educational loans, colliding to create an actual sum bigger than its parts. We knew we had to dress this head-on in our marriage.. Thankfully, I was already familiar with this guy named Dave Ramsey who was famous for his 7 baby steps to becoming debt free. We immediately purchased his online class which initiated our life of cash budgeting which we still practice five years later. The greatest lesson we learned from Dave Ramsey was that if you want your dollar to have the greatest impact in your life, you need to assign every dollar to something intentional and concrete before it is spent. Initially we thought this would make our life incredibly inflexible and rigid. Not only were we mistaken, the result was exactly the opposite. It immediately felt like we had received a fifteen percent raise. If that wasn't satisfying enough, we also felt an enormous amount of freedom knowing that all our financial responsibilities were being cared for through the month. We could spend our "recreation" money completely guilt free. If something came up, we could always renegotiate the budget in five minutes time. What Dave Ramsey does for people financially, I do for people who are in debt to time. Nothing provokes more anxiety than seeing a laundry of things that must get done with no time to do them. If we really want to have the best month of our life, it must start with creating a "time budget" where we become more intentional about how we spend our time. I have often heard, "I don't like that kind of structure. I don't want to be held to a schedule. I want to be able to be free to do what I want to do." The irony is that those same people never end up doing anything they really want to do. In the same way that budgeting puts you in control of your money rather than money in control of you, by budgeting you now control your time rather than time being in control of you. So, if you are tired of looking back month after month with regret, wondering if you did anything meaningful, then it is time to make a change. These five steps, I believe, will feel like you have earned a a fifteen percent raise in your time. It is amazing how our calendars fill up with meetings and obligations before we even get to plan our our day. The best way to prevent this is to allocate time to the important things first, before a day is filled with the other less important things . Before the month begins, assign dates and times to the important things of your life. Carve out time for exercise, prayer/meditation, reflection, reading, relationships, and recreation. Once inserted into your calendar, these events become immoveable barring real emergencies. If you have a family, make sure this approach is shared by your spouse and children. In that way, your family will operate from the same basis. By the time you have finished your monthly overview, you should be excited because it includes plenty of time for yourself, family (i.e. date nights, family excursions), friends, and anything else in which you may want to invest your creative energies. While we haven't spoken about what your "one thing" is, don't worry. For now, just block out an uninterrupted time each day (or at least each workday) for doing some creative work. (Again, don't worry about the content of this yet.) We are reserving this time now so that no one or nothing else takes its place and priority. This block of time should be at least two hours with four hours being the ultimate goal. All the calendar event needs to say is "One Thing." Now that our time for the month has been protected, let’s think about what we would like to get out of this month. What are three results you would like to see by the end of this month? The goal is to have only three per area of responsibility. Generally, try to keep areas of responsibility broad enough not to exceed three for this purpose (i.e. personal and work). Now that we have a frame for the month, let's look at JUST this upcoming week. In light of the three outcomes above, what are three outcomes for the week that you would like to see which help fulfill the outcomes for the month? It is always helpful to review your calendar for the next day the night before. In that way, you are not not blindsided by time specific obligations. This is a time too for setting setting any additional reminders for events to ensure smooth and stress-free meetings, and transitions between meetings. I write more about this habit in another post here. In reviewing your calendar, this is also the time to review your tasks for the following day. In particular, this is a time to determine what your "one thing" is going to be. Find something that requires creativity and needs a block of time investment. Never use the "One Thing" time block for administrative work. This is all about investing in something great that you never have time for. You do now! Before the month begins, assign times and days to all the important things in your life (i.e. reflection, recreation, relationships, etc.). These are immoveable. Assign general blocks of time for your daily "One Thing," not worrying about the content yet. Determine three outcomes for the month. Determine three outcomes for the week. Review next day’s calendar and tasks, and assign the one thing for tomorrow. With the holidays in our midst, now more than ever is the time to begin working on this life changing habit! I would love to hear feedback at the end December about how your month was different because of this. Of course, if you have any questions don't hesitate to leave a comment. I would love to help to make this December the best month ever!! Have you ever had one of those days that seemed to start off on the wrong foot? The day turns into a cascading waterfall of one unfortunate event after another. In the end, the best one can hope for is to get through the day, hoping that sleep will reset the clock. I've definitely been there. Something as simple as waking up late has become a catalyst for a series of aggravating events the rest of the day. For the longest time, the question I would ask was myself was,"Does misfortune create more misfortune?" It was hard for me to believe the answer could be "yes," but example after example both in my life and in the lives of others seemed to persuade me otherwise. The truth is that neither lucky or unlucky people exist--only people. In fact some of the most successful people in history began their rise to success through a life of disadvantage. Richard Branson's childhood is a perfect example marked by poor academic performance due to his dyslexia. Living a life of disadvantage conditioned Branson to see obstacles as opportunities. In fact, Branson's Virgin Airlines arose from the ashes of an "unlucky" circumstance. His flight was canceled to Puerto Rico, and instead of following protocol, he purchased a chartered flight, divided the cost by the number of seats, and sold them at $39 a seat to the stranded passengers. The seed was planted for what now is known as Virgin Airlines. What is unlucky for some, is lucky for the rest. The "luck ones" are lucky insofar as they view obstacles as opportunities, and in the midst of the opportunity, they detach from the emotional baggage of the misfortune. At the heart of seeing obstacles as opportunities is our mindset. When our response to setbacks is, "Of course this would happen to me," we enter into the world of self-fulfilling prophecy. In only seven words, we strip any potential of growth that lie hidden in the obstacle, forcing ourselves to take on only the negative consequences of the obstacle, filtering out the opportunities. What if Richard Branson entered into self-pity rather than seizing the moment as an opportunity for a creative solution? He just might still be stranded in the airport today. How many of us never even get onto the tarmac of opportunities because of our self-defeating attitude? Research on happiness and luck have exploded over the past two decades, and the result has been encouraging for many people who suffer from less than ideal emotional states. For instance, only until recently, the social and psychological sciences largely believed the brain could not be rewired. If trauma occurred as a child, the physiological and chemical effects of that trauma were assumed to be largely a permanent reality. Now, recent research has shown that the brain is much more malleable than originally perceived, and that rewiring is a real possibility. In other words, we have much more control over our own happiness than we once thought. Great news! The same holds for "lucky" and "unlucky" people. Being lucky is much more in our control than originally perceived. For instance, a study examined key differences between unhappy and happy people. One of the most striking differences they discovered was that unlucky people ruminated on their negative experience, whereas happy people quickly detached themselves from the negative emotional state. In fact, they forced naturally happy people to think negatively about their negative experience and the result was happy people quickly turning into unhappy people. The lesson is that when we ruminate on our negative experiences, we ruminate our "luck" away. With a simple change in perspective, we can easily become those "lucky people" we envy so much. After all, their luck largely comes from their ability to filter out the negative emotion, focusing, rather, on a question like, "What is the opportunity for me in this circumstance?" The next time you're faced with the temptation to obsess on the unfortunate circumstance in your life, immediately stop what you are doing, and create mental space between the event itself and your response. Exercise for at least fifteen minutes. Drink alcohol, smoke, or engage in any other artificially calming substances. When you have created the adequate mental space, get out your journal and begin writing the answer to the question, "What is the opportunity for me in this circumstance?" Do not stop until you have been inspired on some level about the possibility of an opportunity awaiting you. Now, determine what is the "next step" to making this opportunity a reality. Do not be afraid! If what you determined takes more than one step, turn it into a project in your task management system, outline as many steps as possible, and flag this project as a priority. Make daily progress! Time to leave the gate and get on that tarmac! Good luck ... that is, if you believe in that stuff. Question: When was the last time you said to yourself, "Of course this would happen to me." Look back at that circumstance now with the question, "What was the opportunity in that circumstance?" What changes when you ask this question? "One of these tasks is not like the other," is what I noticed when comparing the lingering todo with all the other tasks I was hammering away at day-after-day. In the end, home field advantage goes to the task with the greatest simplicity and specificity. The reason why I was delaying an important todo was not because I was procrastinating, but rather because of the task's lack of clarity and specificity. All the surrounding tasks were vying for my attention with their clarity of direction. If I'm rushing through my list and I see one task suggesting to "Mow the lawn," and the other one suggesting to "Build a Dog Run," I'm no soothsayer, but I'm sure I'll be picking "mow lawn." If we want to be most effective with our day, we need to ensure that we do our best not to create favoritism between tasks. To do this we must regularly examine our todos, giving serious attention to the lingering ones. Generally, the reason why we get to some tasks and not others is because the unattended tasks weren't tasks to begin with, but rather projects. The golden rule is that if the task takes more than one step to complete, then it ought to be converted to a project. When I did this with my hanging task, I immediately began seeing progress. Rather than "Clean Basement," tasks like "clean out desk drawer," or "label bins on shelf" became much more appealing, and were thus quickly flagged for that day's list. Sometimes our initial passion for a task quickly wanes. If that is the case, it is no longer necessary to keep these tasks in the foreground, taking up mental real estate. The best way to remove these tasks from sight is to either defer them out to a later date, or to send them to a maybe/someday list which is reviewed much less often. People ascribe more value to things simply because they own them. This has become such a well known reality that it has its own label: The Endowment Effect. This "endowment effect" can also make a mess out of todo lists. As soon as we write down a todo, we "own it." Now that we own it, we ascribe unprecedented value to it. Eventually some of these tasks become old and outdated. Rather than deleting them, we keep them lingering around just in case, never really having an idea of what the case might be for needing them. My two rules are these: If that task did not exist today, would you add it to your list knowing what you know now? If not, delete it. In addition, if the added/created date is a year old, seriously consider deleting it unless it is an active recurring item. Some people will include ideas in their task lists. I'm strongly against using any task management system for anything other than actions. All ideas, thoughts, inquiries, notes, and resources should be stored someplace else. Keep things clean, keep things tidy, keep things going. Is this something that can be delegated? If so, delegate it and document the delegation accordingly in your task management system for regular check-ins. If the task cannot be delegated, yet it needs to be done, then it is time to take more drastic measures. Get out your calendar, and find a block of uninterrupted time that you can formally designate for this task. Block it out, and make sufficient notes in your event to ensure that there is no question what this block of time is meant to be used for. Now, GET-IT-DONE. Reading this was the easy part. It's your turn now. Open up your task list and take a serious look at those lingering tasks. Now increase clarity and specificity, defer them, delete them, delegate them, or do them. Good luck! I was meeting with a student over coffee last summer when he proposed an interesting question: “If you could go back and tell your 18-year-old self something, what would you tell him?” “Great question,” I responded with no immediate response. Generously giving me a few minutes of silence to think about it, I came up with three things I would tell my 18-year-old self, nearly 20 years later: 1) Surround yourself with a group of great guys, meet with them regularly for support, and never stop this habit. 2) When dating, do NOT radically change your routine, but be steadfast in incorporating your new found love in your routine, and find time to saturate yourself in her routine. 3) Fail often and fail greatly! Surprisingly, with over a year separating my encounter with that student, I’m still satisfied with my answer. Of the three life lessons, the third has convicted me the most, and it is the one I would like to explain in greater detail. To be honest, the first two answers came relatively quickly. The last one did not come until the end of our meeting together—almost as an afterthought. Looking back over my life, I see that it was my fear of failure that prevented me from building strong and committed male friendships, and it was my fear of failure that swept me off my feet in dating to the point where I would forego every previous passion and responsibility in the name of romance. The reason why I was so accommodating, easily to get a long with, and altogether malleable was because I did not want to lose the things I had. What I was telling myself was, “You do not deserve the things you currently have. Don’t screw this up by inserting yourself into the picture.” Of course I was going to avoid any chance of failure, because that would mean I inserted myself in the picture. How seductive this line of reasoning was. The end result? A conflation of two words: me and failure. For failure to become attractive (or at least worthy of risking), it must be rehabilitated. Currently, our culture perceives failure as a manifestation of our true potential: failure means we have no potential, and that we are a fake. I believe this perception comes from a recent type of entertainment I would like to call “social voyeurism.” This is where we watch the successes and failures of people from afar, finding entertainment in someone else's drama. In essence, this is what reality TV is about. The problem is that we are perceiving an overly simplistic picture of the individuals on screen, and this provokes us to make insensible conclusions. We wrap these shallow perceptions with tag lines like, "What a loser," or “Once a failure, always a failure,” or “He/she was made for success.” Moments later, we begin comparing ourselves to the shallow images on screen, and thus the prison sentence begins. Such a sentencing enshrines a static and impermeable image of ourselves, ensuring our real possibilities are safely protected behind bars. We end up creating a self-fulfilling prophecy by molding ourselves into a much more limited human being than what we could have been. Failure is the raw material of success. Without failure, we are blinded to the path of self-fulfillment. The more we can lean into failure, the more we will learn, the more we learn, the better equipped we are to make better decisions, and the better decisions we make, the closer we come to self-fulfillment. To be clear, failure is not the goal. Rather, our goal is to succeed with the understanding that failure is a critical component to success. Here are three ways we can better lean into failure, making our setbacks the linchpin to success. What would it look like for your plans to achieve unprecedented overnight success? What would it look like for your plans to become a complete failure? There is no reason to be caught off guard by successes or failures. Make plans for both ahead of time. It isn’t unheard of for unexpected successes to become failures due to a lack of planning. Reduce your opportunity costs as much as possible. In other words, start small. By starting small, you provide the opportunity for quicker course corrections. Learn from the many businesses who spent years working on the next big product, spending hundreds of millions of dollars only to hear crickets on release day. By then, it is simply too late. Start small, test the waters, and allow for quick iterations of feedback along the way (i.e.. friends, family, co-workers, test markets, etc.). Create a tripwire to prevent unrecoverable loss. The last thing you want is for your failure to follow you for years-on-end. Rather than blindingly pushing ahead, set predetermined check points along the way. For instance, instead of going tens of thousands of dollars into student loan debt, you may decide not to entertain anymore than twenty five hundred dollars of debt per year. You decide that the financial remainder will be paid through scholarships, grants, and working a part time job. If the loan amount reaches twenty five hundred before the academic year ends, you immediately stop to evaluate the options available (i.e. look for a higher paying job, more grants, or scholarships, taking a semester off to build up a little nest egg, or evaluate the opportunity cost of taking on more debt). With a plan in place, lean into the risk of failure. Rest with confidence that the plan you have in place will keep you from undo harm. Remember, when and if failure occurs, you have just brought yourself one giant step closer to success. Those who fail upward are the ones who continuously see setbacks as opportunities for growth. They lean into the learning experiences from failure. Do not take failure personally, and remember that those who you admire most have failed there way to admiration status. Unearth the veins of gold hidden in failure by growing from it. With serious analysis in place, determine whether it is time to pivot or persevere. If the majority of information points to moving forward, then persevere. Michael Jordan is a hallmark example of perseverance. Not making varsity as a sophomore in high school, rather than quitting altogether, Jordan persevered to become the greatest NBA player in history. On the other hand, the creators of the widely popular communication tool Slack is an example of pivoting. Initially trying to achieve financial stardom through the creation of a video game called Glitch, they created their own internal communication tool to help them collaborate better. The video game was a complete failure, but what they ended up unintentionally creating was a new one billion dollar business through their communication tool, Slack. Talk about a successful pivot! Don’t stop now. Keep going and don’t quit. Realize the gift of failure, plan accordingly, lean into setbacks, and when and if you fail, fail upward! See you on the cover of Forbes. A wise man once said that despair is experiencing the present moment through conflating the past and future. The person who despairs life cannot stand living in the present moment because, for that person, the present is, has been, and always will be like the past: riddled with hurt, regret, pain, and disappointment. The future is nothing more than a conveyer-belt of the past, presenting itself second-by-second to the present moment. While many of us may not be suffering from despair, many people (including myself) struggle with engaging the present whole heartedly. Similar to the experience of despair, our inability to fully engage the present arises from our perspective about the past and future. Here are 5 ways we fall pray to the conflation of the past and future, compromising our ability to engage the present with the passion and enthusiasm it deserves. As we will see, relationships are the first to be compromised when we disengaged from the present. When we place expectations on an event or person, we adopt a particular set of lenses, coloring our perception of reality. Instead of encountering the present moment, we encounter the relative difference between our expectations and the actual outcome. It is that difference that occupies our mental space rather than the present moment itself. Lost, then, are the gifts that lay unappropriated in the moment itself. The solution is to begin approaching all events and people through the principle of discovery. Rather than coming with expectations, the whole hearted person engages the present through inquiry and curiosity. This does not mean that we must abandon intention. The businessman, spouse, son, daughter, mother, father, and friend benefit greatly with such a mindset. The car salesman clearly intends to sell cars otherwise he would be out of a job. The pushy car salesman expects to sell a car to me, and will do anything to achieve this end, including ignoring my wishes. The curious car salesman takes the time to understand why I’m here and my preferences. In the end, his curiosity earns him a sale while the pushy one ends up with wasted time. Question: Where is the tension in my life right now? How might changing the way I approach someone without expectations heal the tension between the two of us? Highway to the Comfort Zone? How different the movie would have been if Top Gun’s adrenaline pumping penultimate theme song, “Highway to the Danger Zone” was “Highway to the Comfort Zone.” I imagine Maverick growing up on the comfort of his own couch. Not knowing whether the death of his father and co-pilot was his father’s fault, he absorbs the shame of the family name. The result is spending the rest of his life hiding in life’s shadows so not to bring to light the self-imposed “fact” that he too is a failure. That actually doesn’t sound too far from the original plot, and it is the untimely (spoiler alert) death of his co-pilot Goose that forces him to bring his wounds to the surface. Unfortunately, the life of comfort comes at the expense of greatness. Instead of risking the vulnerability of the present moment with all its raw emotions and uncertainties, we either under-correct or over-correct to preserve our “fragile egos.” By under-correcting, we live in a state of paralysis, engaging the moments set before us with extreme caution. We blanket every moment with people pleasing gestures, praying to God that our lack of value is not revealed. The over-correctors are equally as fragile although it does not seem that way initially. Rather than treating the present like a porcelain doll, we treat the present like a bull in a china shop. With controlling like behaviors, we go out of our way to judge anything and anyone that may pose a threat to our ego. By diminishing the thoughts and opinions of others, we tenuously maintain our own value through the diminution of others. Both the over and under corrector wall themselves off from a genuine encounter of the other. The risk of exposure is too great so we wall ourselves off through people pleasing, or power plays. The result is a twisted self-fulfilling prophecy of not being loved. We end up not being loved not because we are unlovable, but because we have walled ourselves off from the opportunity to be loved by another. Question: Who is someone I can practice stepping outside of my comfort zone with? Find someone you trust and personally (face-to-face) open up to this person to the point where it feels slightly uncomfortable. Regularly practice being received by someone even in the murky waters of life. It is not in our pay grade to judge the hearts and minds of others. The more we become quick to judge, the more we reduce the means by which we can receive “the real” of another. I’m reminded of old latin phrase, Quidquid recipitur secundum modem recipientis recipitur. Whatever is received is received according to the mode of the receiver. Our capacity to receive that which is before us is limited by the mode by which we receive. If judgment is our primary mode, then we severely compromise our ability to receive anything other than what we are expecting to receive. As we approach relationships, the present moment is safeguarded by assuming the best intentions of the other. This mindset opens our minds and hearts to the person before us, and opens the door to a spirit of discovery, which is opposite to a spirit of judgment. Judgment is not bad but the spirit of judgment that prevents our ability to see what is truly before us, is bad. Question: Who is someone in my life that I have developed a spirit of judgment with? What is one thing I can do this week to approach this person through a spirit of discovery? There is an overused saying that “curiosity killed the cat.” My best guess is that it was the cat’s curiosity about other cats rather than himself that got him killed. Curiosity is a powerful activity, but when the object of curiosity becomes everyone but ourselves, it becomes a self-destructive weapon. One of relationship’s greatest offenses is being so curious about the other person, that we forget (or deny) our own contributions to the dynamic of the relationship. Our curiosity is too limited to how the other person has wronged us that we fail to ask the most meaningful question: How have I wronged the person? Question: How have I unfairly stacked the decks against someone I love by being too curious about the other person’s flaws, to the determent of my own well being and the well being of the relationship? What is one thing I can do today to lavish praise on the other, and be more curious about myself? Christian, Jewish, or not, two stories from the Bible stand out as particularly important. The first story is the Creation account. Breaking creation into six Days, God created man and woman, then set as their first mission to rest on the seventh day. A core tenant of the Jewish faith revolves around the concept of resting one day a week. Interestingly, from this moment on in the Bible, a theme develops around the word “name.” Israel fights to discover (and rediscover) their identity/purpose/name, and the fight appears to be exacerbated by the inability to keep this day of rest, the Sabbath. Rest and identity seem to have an intimate relationship with one another in Jewish history. The second story finds its epicenter in Egypt. Israel has found itself slaves to a powerful kingdom. A rather unsuspecting Israelite is called to release Israel from captivity, but his first attempts appear to make matters worse. To prevent an uprising, Pharaoh increases the workload of the Israelites, preventing them from remembering who they are. The tactic works as many of the Israelites question whether it would be better to be comfortable slaves than to face the unknown consequences of being free in a burning desert. Today, Egypt’s Pharaohs pose no threat to our freedom yet a pharaoh still remains, enslaving us from our greatest possibilities. The pharaoh of our own heart is constantly increasing our workload with empty activities, disguising it as meaningful work. The mind is tricked into thinking that our ceaseless borage of activity is nourishing our soul. In the end, we exchange fulfillment for numbness, empathy for apathy, peace for paralysis, and the drawn life for the driven life. The busyness we experience convinces us that the deepest and darkest questions of life are not relevant for our happiness: Who am I? Where did I come from? Where am I going? What is the meaning of life? Why something rather than nothing? Months and years later we find ourselves agitated and unfulfilled, wondering how we got here and why we feel this way. After all, we did what we were suppose to do: work! Like the story of Israel’s slavery to Egypt, we put the proverbial chariot before the horse. Identity is not bestowed by our work but only strengthened. It is in the burning desert of being rather than doing that we find ourselves. We do not work so that we can have luxurious rest, but we rest so that we can work. Work is meant to be a fruit of recreation (coming from a time of being “re-created”), not the other way around. If we really want to know ourselves, to discover personal purpose and meaning, it begins with setting time out each day for solitude. I’m convinced now more than ever that before the sun, important things get done. These important things are prayer/meditation, journaling, reading, and exercising. Do not start the day working on email, checking your todo list, or engaging social media. Rather, begin each morning entering into that desert of oneself, for it is precisely in this desert of being that we discover the well-spring of life, and it is through these “living waters” that we are able to find energy, courage, ambition, and purpose for our day and even life. It is in the “work” of being that we discover our greatest possibilities, and are given the greatest resources in making these possibilities a reality: self-knowledge, self-understanding, self-acceptance, self-confidence, and self-gift. If we want to live greatly, we must first dare to “be” greatly. To this end, I propose spending at least 20% of each waking day pursuing re-creating activities. This means that if you get up at 6am everyday, and go to sleep at 10pm, you would be spending 3.2 hours in a state of “recreation” each and every day. What constitutes recreational activity? I can tell you what does not: useless screen time. Studies have shown that after about 60 minutes of TV, the brain hits saturation point, and it begins to get agitated. Have you ever started watching TV to decompress, only to realize hours later that you feel less refreshed than when you began? There is an inversely proportionate relationship between the time we spend gazing passively at a screen and the clarity of purpose and meaning in life. Begin today! Before the week begins, map out your time for solitude in your calendar and block that time out. Have a separate “list” unrelated to your todo list which consists of your “re-creating” activities for the week. Guard this time with absolute vigilance. The joy of clarity of purpose and meaning await you! Have you every attempted to use technology to simplify your life only to make it more complicated? I’ve been there! This FREE guide is meant to help give you a foundational introduction on how technology can truly simplify, order, and organize your life. This guide also recognizes that organization is not enough. Organization without purpose and focus is a life busying ourselves to death. I want to help you break out of the busy cycle, paving a way for the freedom to pursue a more intentional and purposeful path. I’m convinced that technology can become your greatest advocate in this pursuit. The definition of insanity is often expressed as doing the same thing over and over, expecting different results. I encourage you to get off the fence, and begin taking those needed steps for a more fulfilling life. Technology will never save, but it can help you build the necessary habits that can save. Start now by downloading this FREE guide here. Once you’ve read this guide, continue to return to this site for step-by-step online classes on how to achieve what I propose in this guide. What took me over seven years to figure out, you can have under your belt in a matter of weeks. Your time is valuable, and I want to make sure every second counts. I want to give you the space you deserve to sit back, breath, and realize that the world is bigger than it seems. Busyness destroys curiosity, and curiosity destroys creativity. Without creativity, we sacrifice all happiness, drive, and capacity for genuine relationship. May this guide be the first step in transforming a “life is busy” to a “life is beautiful”! What if I told you that you could be at least 40 percent happier right now? While some recent research shows a link between genetics and happiness, research also shows that at least 40 percent of our happiness is within our control. Although researchers disagree on how much we control our own happiness, they are closely aligned about how much our circumstances contribute to happiness. According to recent studies, our circumstances contribute 10 percent toward our overall happiness. This number is exceptionally low in light of how often we make our happiness contingent upon some unfulfilled circumstance. Happiness is about seeing the world for what it is, rather than what it is not. It is about scheduling recurring appointments with the optometrist of our soul, realigning what we see with what is really there. The realigning lens we use is the lens of discovery. This lens provides the proper framework to view all peoples, places, things, and circumstances as opportunities for discovery. The lens of discovery allows us to evaluate every person, place, thing, or even circumstance as a unique and unrepeatable gift to ourselves and the world. Genuine reciprocity is quite different. The source of this reciprocity is not the need for validation, but rather the desire to uphold the good of another. One is giving for the sake of getting; the other is giving for the sake of the good of another. To be happy, we must begin with but one expectation: expecting nothing in return. Give from the goodness of your heart; expect nothing in return, and always assume the best intentions of the other person. Without false expectations,, the world transforms from an adversary to an advocate. No longer is the world imposing itself, threatening to destroy our fragile egos. It now becomes a playground of discovery where every encounter is the opportunity to learn something new. The universe is truly designed to bring us happiness, not to hinder it. If you are in doubt, step outside and stare at a sunset or sunrise. Question: How has a particular expectation compromised the quality of a relationship? What is one thing you can do today that would change the course of your relationship with this person by assuming the best in him/her? We’ve all been there. We have all desired something only to have the pleasure wane shortly after the purchase. The pain of regret comes when we spend endless hours, days, weeks, and even months weighing the myriad of options before making the choice to purchase a desired item. All that time becomes an “opportunity cost” for the thing we are acquiring. The more time we spend weighing the options, the more “pleasure value” is expected from the item to compensate for the increasing cost of time sacrificed while we were weighing the options. This leaves us increasingly regretful of our decisions. The restaurant doesn’t meet our expectations because the ambiance doesn’t compensate for the time lost in finding the restaurant. The food only seems fair in light of the time spent in analyzing the menu. The more we weigh options, the more life itself seems to grey rather than present colorful hues. Only a few decisions require detailed analysis. Live to be satisfied rather than maximized, and you will find yourself living the world in color again. Plan less and make more room for serendipity in life. The random drop in restaurant will taste so much better, and the choices you make, going forward, will feel lighter, freer, and much more enjoyable. Question: What is one upcoming decision you can make in the spirit of serendipity? Comparison is the death blow to happiness. It assumes either the best or the worst of someone, for the sake of judging yourself either self-righteously or from a place of self-loathing. These comparisons never accurately portray the object accurately. Rather, they create caricatures for the sake of self-aggrandizement or self-shame. Happiness comes from a particular source of love that comparison destroys: I am loved because I am like no one other, and I’m loved precisely because I am unique. As soon as we begin to feel that we are “one among many,” we no longer feel loved. We no longer feel happy. Comparison strips love of any substance, making it simply an instrument of production. My worth—or someone else’s worth—is dependent upon some measurable output evaluated by someone else. Happiness embraces the fact that I—and those around me—am a unique and unreplicable reality that requires an exclusive look to be looked upon with exclusivity. Happiness is grounded in ridding ourselves of the lie that we, and others, are commodities to be used. Happiness, then, is about embracing the notion that we are all ends-to-ourselves. that happiness rests on this truth of embracing and sharing our uniqueness. You are not one among many! You are you. There has never been anyone like you, nor will there ever be again. You are a gift that will never repeat itself in this world. Start by dropping the comparisons! Question: How have I used comparative language with myself and others? What is one thing I can do today to embrace the uniqueness of myself and others? In the end, all three threats to happiness share the same underlying lie: I’m not enough. The real story is that I am enough. I am more than enough, because my very presence can never be duplicated. I am not only enough, I’m necessary. So, again, make your life count: by dropping expectations, embracing serendipity, and comparing yourself and others to no one. These are not optional but are a are a path to happiness written into our DNA. I love Evernote! I love it because it works, and it works well for me. Evernote is the place I store nearly every piece of important information that comes my way. While I could give a list of the top fifty or a hundred uses of Evernote, I want to share how Evernote has made me more relational, intentional and prepared for some of life’s curve balls. If you have never given Evernote a try then begin with a couple of these suggestions. I don’t think you will regret the time invested. In fact, if you are like me, the more time you invest with Evernote, the more possibilities surface for its usefulness in managing the daily barrage of information that comes our way. Give it a try, and you just might find yourself managing less, and creating more! Before Evernote, I relied on my memory to remember when family and friends expressed an interest in a product, piece of clothing, or some event. That part of my “memory” failed me nearly regularly. Now, I use Evernote to help me create thoughtful and memorable gifts for others. If I am out with my wife, and she points to something she really likes, I take a picture of it. That picture goes directly into Evernote geotagged so I know exactly where that item is physically located. Later on in the day, when I have time, I quickly tag and file the picture as a gift idea for my wife. I continue to collect these gift ideas the moment she expresses interest in them. When it is time to give a gift, all I do is look at all the gift ideas tagged in Evernote and pick the one I want to get. Thoughtfulness with substance! The problem with great ideas is that they not only come but they also go. Before Evernote, ideas became like empty wishes that I would never fulfill. The principle reason for not following through with these ideas was because I would eventually forget them. With Evernote, I never forget an idea. As soon as an idea occurs, I enter it as a note on my phone. That note automatically gets filed into an idea log on Evernote. I now regularly review my ideas to decide which one I want to act on this month which often becomes my “One Thing” for the month. I now have a number of different idea logs. For instance, when I am reading or listening to something, I am often inspired with an idea for a blog post. I quickly enter the basic information of the idea, where I received it, and then file it away as an idea for a post. When it is time to compose a post, I check my idea log and pick from the dozens there. No more scrambling for ideas! I often thought that I didn’t have any good ideas. Now, I realize that it wasn’t a lack of ideas, but rather that I never recorded my ideas. If you believe that you don’t know what you want to do in life—or even for the next month—keep an idea log and be persistent in its use. You will quickly realize that you have a bounty of ideas for a more meaningful, purposeful, and passionate life! What you need is to become aware of your ideas by recording them. “What do you want to do?” “I don’t know. What do you want to do?” Hours have been wasted with friends and family with this give-and-take game of “recreating to nowhere.” Now, with Evernote, I record every recommendation someone gives me—whether a book, restaurant, band, music, movie, wine, event to attend, or any other suggestion. When someone says, “Hey, have you ever seen/heard/been to/tasted…” I immediately get my phone and begin to type the recommendation. This goes directly into Evernote with a screen click and is automatically filed as a recommendation. When the question, “What do you want to do?” comes up, I check my recommendations on Evernote, and I immediately have a list of great suggestions. On Christmas Day of 2014, my wife and I received our great blessing for the Boettger family—the birth of our son. (The best Christmas present ever!) Since that day, we’ve been trying to keep memories which we never wand to lose. While all the pictures and videos are managed through Photos on my Mac, both my wife and wanted to keep up with all the “firsts” of baby life. While I’ve tried a number of stand alone applications, I kept returning to Evernote because of its simplicity. Whenever there is a moment to remember, I simply record it on my iPhone and send it directly to Evernote with the appropriate tags. If our son makes a super cute sound, I record it on my iPhone with one tap, and send it directly to Evernote with one more tap. When my wife and I want to review all those great firsts (and even listen to them), I open Evernote and select the “memories” tag and filter by our son’s name and year. In the summer of 2013, my wife and I were privileged to spend two romantic weeks in Maui. At the same time, we were on the cusp of closing on our new home. About midway through our holiday, we received an urgent phone call from our mortgage company stating that they were missing a critical document which would disqualify us from the loan if not received within 24 hours. In addition, they quoted an interest rate that was higher than what they initially gave us. Fortunately, before we left for vacation I had scanned every possible document needed by the mortgage company into Evernote. In addition, I kept a call log, including the actual recorded conversation, in Evernote with a record of every important conversation pertaining to this matter. Instead of ruining our holiday in paradise, I calmly found the document in Evernote within 30 seconds, sent it to them along with the recording of them quoting me the original interest rate. I politely commented that this should be more than enough information to correct their errors. Everything was resolved on our end within three minutes—on their end within an hour. While the demands for documentation can be unnerving, scanning every document into Evernote keeps an ongoing communications log for all important documents and phone calls. With thoughtful tagging, everything becomes easily and quickly accessible. My Evernote call log has saved me countless hours and thousands of dollars. Most importantly, I have significantly reduced the stress of the “unexpected” in my life, enabling me to live more in the present even in times of urgency. What is one piece of information that stresses you out not having it quickly accessible? How might Evernote be a solution to this stress? Don’t Look At Your List — You read that right. A todo-list worth doing is a todo-list worth deferring. Let your first hour of the morning be todo-list free. This time is exclusively reserved for establishing the proper foundation to approach the day. Consider spending time in meditation and/or prayer, journaling, and exercising. Every morning is an opportunity to embrace the gift of life anew. Life is not about getting stuff done, but rather about leaving the world better off from when it began that morning. What is the one thing you can do this morning that will leave someone you will encounter feeling as if they are better off for having spent time with you? Clarity is Key — Ready, Set, …. Wait, What am I suppose to do? If your todo-list is full of vague cryptic todos, you’re starting out on the wrong foot. Your todo-list should present clear and concrete steps to success. Begin each task with a verb like, “Pay medical bill,” or “Research Audi A4 on Consumer Reports.” Tasks like, “medical bill,” or “Audi A4” give no direction, and without direction the mind will naturally gravitate toward skipping it. The clearer you are with your todos, more likely it will be for you to do them. Simple is Super — If you had two tasks on your list, one being to take out the trash, and the other to do your taxes, which one would you most likely choose? While tax evasion is pretty scary, taking out the trash seems more appealing. The reason why we avoid doing things is because the defined action is not concrete enough. Home field advantage is always to the task that requires the least amount of deciphering. To give every task equal weight, ensure every todo is a single step action, relegating multitask todos to projects. Instead of “do taxes,” a better action might be to “Scan all receipts to QuickBooks.” Now this task competes nicely with “Take out the trash.” Heck, I might even do both! Ready the Resources — If the task needs any additional resources to be completed, add them to the task itself. If you have to call someone, add the number to the notes section of the todo. If the todo refers to a document, either add the document directly to the note section as an attachment, or give the precise location of the document. Research has shown that if we have to search for anything to finish the task, we will naturally skip it for a less complicated one. By placing all todos on an equal playing field, we have the freedom to choose the best one rather than the simplest one. Overcoming Optical Overload — Preparing for your day by looking at a list of 150 todos is like finding inspiration through meditating on your educational loan. It just won’t happen! Simplify your list by filtering it. Defer what can be responsibly deferred to a future date, delegate what you can, delete any old irrelevant tasks, move wish-list todos to a “maybe/someday” list, and group the rest according to contexts. Have an “Office Only” list and “Home Only” list of todos. Consider having a separate list for errands, calls/texts, communications, et cetera. The goal is to break things down into bight-sized pieces to make your list more manageable. After all, what is the point of seeing what I need to do at home when I’m at work? All that does is reduce my focus, making me think of things that are outside of my control. Stay focused, stay clear, stay happy! Start — You have a clear, concrete and filtered list. Now what? Start! Rather than aimlessly checking off todos, block off a period of time each day to work on that which is most important to you. Ask the question, “What is the one thing I could do today that would make everything else in my life easier, or unnecessary, and make me happier?” Do not stop until this question is answered concretely with a single action step. Now start! Everything else can wait until later. Breath and Be Better For It — Amidst all of this, remember to breath. Take a 15-20 minute break every 50-90 minutes of your work day to remain focused and creative. Get outside and take a short walk if the weather is nice. Connect with co-workers, friends, and family. Meditate, pray, journal. Set an alarm and make sure to stick to these breaks, and know what you are going to do before the break. Do this and you will have greater creativity, more focus, but most importantly you will embrace your humanity. Times of solitude are life-giving but isolation is life-draining. Connect with others regularly, and you will be more connected with yourself. The Prepare Protocol — To ensure the mornings remain a time of todo free mental and spiritual renewal, plan your tomorrow tonight. Take 15-20 minutes each evening to look over your calendar and todo-list. This is a time to confirm appointments, select the one thing you will work on during your designated block of time, and to simplify your list to a more management size. Your tomorrow is now ready to work for you rather than you having to work for it! Are you an adrenaline junkie? If so, this post may not be for you. If you are anything like me, the “rush” of suddenly realizing I agreed to be somewhere ten minutes ago is NOT . . . is NOT the kind of rush for which I’m searching. The amount of energy I spend stressing, fretting, worrying, and assuming feelings of guilt zaps me of any mental capacity for the rest of my day. Combine the mental stress with the physical stress of running all out, trying to reset the clock by showering at lightening speed, does not help create proper conditions for full engagement at an appointment. How on earth could anyone live like this on a consistent basis? Yet, we do. I’ve learned a lot these past eight years on how best to use a calendar to create one incredible week after another—even in the midst of chaos. By committing to the following five best practices, you will not only avoid being late, but you will leverage your week to work for you rather than you working for your week. With the unschedule, the important things are scheduled first. In other words, before the week begins with a blank calendar in view, I begin adding those things that are truly important first: working out, time with friends, prayer, meditation, date nights, family nights, get aways, vacations, and blocking out time for creative work. Once these are set in place, I then fill up the remainder of my time with the extra stuff: meetings, appointments, errands, chores, etc. This way I gain control of my week, allowing it to work for me rather than me working for it. One caveat is that I often have to schedule “unimportant” meetings and appointments weeks in advance. To get over this hurdle, I don’t just plan my next week, but try to advance the calendar each week for the next four to six week period.. In this way I’m nearly always ahead of the “unimportant obligation curve.” My wife and I incorporated this into our weekly routine by planning two weeks in advance each Sunday. It has been a liberating experience. Previously we struggled with finding time to do enjoyable things, because we always felt burdened to stay in and “get things done.” Once we scheduled the important stuff first, we worked extra hard to ensure those scheduled events were kept firm. I also highly recommend scheduling the each day’s most important thing. Each evening I choose one thing for the next day to work on which for me is most important. I have a general block in my calendar in the morning that says “One Thing.” This is a sacred time for investing my best daily energy in something that is creative and gives me life. I do this in both my personal and professional life. After the time of working on my “one thing” is over, I then move along to the more trivial matters of the day. I believe that if you want to take control of your week, incorporating the unschedule and the one thing into your routine is absolutely critical. If you started your “one thing” tomorrow, what would you choose to work on? Record Every Event! Seriously, Record It! This requires little explanation. If we are hap-hazard about what we add—or fail to add to our calendars, they become useless for all practical purposes. We need to have one calendar system in which every event has a set time and day. It may not sound romantic to schedule “date nights,” but the truth is that whatever is on the calendar is a reflection of what we view as important—so why not date nights? Every event recorded in your calendar needs to have multiple reminders set. When each event is recorded, think about where you might be before this event. If you will be home and the event is thirty minutes away, set a reminder for 35 minutes before the event, reminding you it is time to go. If you think you’ll need to get ready for the event and it takes you 30 minutes to get ready, set an additional reminder for about 80 minutes before the event, letting you know it is time to transition into getting ready. For office meetings, I will often set two reminders: one for 15 minutes out, gently reminding me to begin closing up the conversation if I’m already in a meeting, or, if not, to begin last minute preparations for the upcoming meeting. I then set a second reminder for 5 minutes out for travel time to walk over, or to settle in my office. In this way, I am generally stress free when a meeting begins. For some people, having multiple reminders is not enough. In this case, where reminders would normally serve well, add an actual event. For instance, instead of setting the reminder for 80 minutes before the event, serving as a reminder to get ready, add an actual event called "Get Ready." Then, set a "Get Ready" reminder for 15 minutes before the "get ready event" begins, providing transition time. Now, instead of seeing a reminder for the actual event 80 minutes before, you will see the words "Get Ready" which will serve as greater motivation to do just that. The “rush” of suddenly waking up already late for a meeting is a “rush” better avoided. To prevent this, it is useful to spend five minutes (or less) the prior evening looking at the next day’s calendar events, mentally preparing for the day. This review is also the time that reminders can be quickly confirmed or changed if necessary. If time permits, sending confirmation emails to people involved in a forthcoming meeting prevents travel to a potential meeting at which no one is present. One of the many advantages of having a digital calendar is being able to create multiple calendars within one calendar system. While not necessary, I have found it very helpful to have my calendars broken up into general areas of responsibility: Work and Personal life. In addition, I have created a shared “Family” calendar that contains all family functions, and a shared “Chores” calendar that distributes household chores within the family. If you are in school, create an “education” calendar to record separately all your classes, quizzes, projects, and exams. Take the first step of gaining more control of your life by taking control of your time through a consistent use of a calendar, and prioritizing the important over the unimportant things. Next week, I will share with you how I maintain laser-like focus when bombarded with hundreds of tasks. This week we mastered our time; next week we master our tasks. See you then! What is one thing you can do this week that will reduce the stress of rushing and/or being late? What’s one thing you can add to your calendar for next week that you’ve always wanted to do but simply haven’t had time? Often times we are too busy to be aware of the stirring of our own hearts directing us toward a particular course of action which will provide us joy. Being free of the "energy drains" and unnecessary commitments in our lives, we now have the best opportunity to understand what is moving us toward a particular direction. Then and only then are we able to take concrete steps toward achieving that which we desire. This action is the process by which we establish goals for ourselves. Why do some of our greatest ideas come at unexpected times, like when we are in the middle of the shower or trying to fall asleep? Truthfully, these are not unexpected times at all but rather the very environment the brain needs to be creative. When we are hard at work on something, we try to maintain diligent focus on the task at hand. During these time, our brain activates the attention filter which automatically filters all unimportant data for the sake of efficiency. While this is good for process oriented tasks, it is terrible for creativity. It is the day dreaming mode that disengages the attention filter, allowing the brain to see some of the most seemingly disparate ideas, creatively bringing them together in new ways. This is why many of our greatest ideas come under strange circumstances. The pursuit of the essential life is about mining the world within so we can most fruitfully and joyfully engage the world “without.” To do so, we need to create a proper environment so the world we have seen, heard, tasted, touched and smelled may become the raw material for new creative endeavors. If we are out to embrace engaging and inspiring goals for ourselves, we must make adequate room for intentional times of solitude. We need regular times of reflection to observe how well we have utilized the past days, weeks or months for the important things in our lives. Understanding these circumstances, that created for a less than ideal engagement, provides concrete resolutions to prevent such lapses next time. I highly recommend weekly thirty minute reviews along with one full day retreat per six months to do a larger self-inventory review with the intention of providing a framework for the next six months. One caution about these times of solitude: disengage from everything you possibly can during this time. This means no smart phones, social media, online access, books or anything else. If you have the opportunity to break from a time of solitude, chances are you will take it. Don’t believe me? A study was done to determine how much enjoyment people received from being left alone with nothing to do. In these 11 studies, participants were asked to sit in an unadorned room from 6 to 15 minutes with nothing but their thoughts to entertain them. Unsurprisingly, when interviewed after the time of “self-reflection” it was a nearly unanimous opinion that the participants preferred doing something rather than sitting doing nothing. One particular modification of this study, however, had some alarming results though. When given the choice to sit alone with only one’s thoughts or have the option to self-administer electrical shocks, the majority of the participants ended up choosing the electrical shock over being left alone. So, let’s re-address that self-confidence of which we spoke earlier about having your smart phone right next to you “just for emergencies” but vowing never to use it. I’m pretty sure it is much more appealing than self-administered shocks. So, put it away! Let’s pretend that you received a phone call from an attorney who represents your long lost uncle. He informs you that your uncle has passed away and has left to you ten million dollars. You hang up the phone in pure shock and excitement. Moments later, you receive yet another phone call, but this time it is from your doctor. That test you had done came back positive and unfortunately the news isn’t good; you have only ten years to live. How would you realign your life? What would you do? Spend a few hours thinking and journaling about all the things you would do. This can quickly become the raw material for some great goals in your own life. As you begin to engage creatively with the scenario above, you may begin to see some common threads in your new life decisions. This may result in a number of different possible paths. Now, step out of the scenario and engage the 10-10-10 rule to narrow some of your options. For each idea that may come to mind both from the exercise above and any additional potential personal goals you have considered, examine each potential direction through this lens: how would you feel if you chose that path? How would you feel ten minutes from the moment you committed to that goal? How about ten months from now, and then ten years from now? Does the enthusiasm increase over time, decrease over time, or do you feel neutral? This will help prioritize your goals. Now it is time to begin forming goals with some teeth. For instance, as you thought through the inheritance scenario, you may have realized that you really wanted to make these last ten years count, and more than anything you want to be as active as possible to keep up with every moment of your children’s lives. So, you form the goal to be as healthy as possible. Great goal; but it doesn’t have any teeth. As the goal stands, no way exists to verify or measure whether you are making good strides toward your goal, or whether you even met the goal. How do you measure “healthy as possible”? You can’t. To create a SMART goal, it must be Specific, Measurable, Appropriate, Realistic, and Timely (thus, the acronym SMART). The goal above is not specific enough nor does it specify a concrete action by which to reach your goal. The goal fails on the measurement scale without a way to measure success. As for appropriateness, there is not enough context to see whether it is an appropriate goal. A possible inappropriate goal would be someone who desires to summit Everest by next summer which is both specific and measurable. However, since he is a family man with many children to care for, it may not be appropriate. The last two indicators of a great goal are that a goal must be both realistic and timely. A realistic goal means, can it actually be done? For example, you decided to take up the sport of running for the first time, and with enthusiasm out pacing any realism, you decide to sign up for an ultra marathon for your first run, scheduled for six months from now. This is most likely not a realistic goal. Finally, while your goal may be specific, measurable, appropriate, realistic, it may not be timely. For instance, your goal is to launch a landing page on your website for your new business. It is currently January 1st and you have set the goal to launch your site on March 1st. All sounds good; the problem is that you are a CPA and this is the busiest season of the year. This is probably not the right time to set this goal and would be better suited for after April. Returning to the desire to be the healthiest you can be, a SMART goal would be to lose twenty pounds by that big Maui vacation on September 10th. You have a due date and have a way to concretely measure you progress along the way. Now that you have your list of fun, inspiring and challenging personal and/or work goals, it is now time to group them according to roles or areas of responsibility. These could include health, family, marriage, recreation, career, work, community, spiritual life, education, relationships, etc. This is an important step that will make the final step much easier. While it would be perfectly fine to stop at the organization stage and begin achieving as many goals as possible, it is not the most efficient way to begin. It can also be very overwhelming if you are looking at five or six areas of responsibility, each with many goals. The final level is to synthesize (if possible) and simplify. As you look at the goals for each area of responsibility, ask the question: “What is the one thing/goal that would make every other thing/goal in this area of responsibility either unnecessary or significantly less burdensome.” The answer may be a particular goal already in the list or a new one that synthesizes the others to some degree. For instance, I may be dealing with the threat of high cholesterol, dealing with being overweight, lacking energy to spend time with my children and feeling exceptionally stressed. Becoming healthy seems like a daunting task as there are so many fronts to fight. However, the one thing that might just make all these problems go away or significantly less stressful is to have a dedicated exercise regimen where I exercise five times a week by running for thirty minutes a day. Such an activity is proven to reduce stress, give more energy, helps in weight lose, and can lower cholesterol. What about the other stuff? Are we simply supposed to ignore all the other responsibilities of life that are outside our goals? Absolutely not! Our focus should always first be to tackle first our primary goals each day, but we should always reserve time to address our other responsibilities. To remain focused, split the remaining tasks responsibly into tasks that may be delegated to someone else, deferred to a later date, or set them aside if we find them ultimately unnecessary. If only it was as easy to create goals, with the disciplined life, and to fulfill those goals automatically. Unfortunately, a number of things can impede even our most motivated and inspired efforts. Next week, we will look at a surprisingly insidious fear that prevents many of us from following through with our goals and thus living a more essential life. See you next Wednesday! What inspiring goals have you set out to accomplish this month and year? Sign up with your name and email address to receive all LTR's content directly into your inbox with exclusive content only for my VIP friends.